Buying a Laser Welding System? 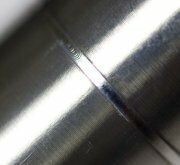 If you are thinking of buying a laser welding system there are five essentials you should consider. If the welding system you choose does not comply with EU legislation, be prepared to take the consequences. The equipment won’t be covered by insurance so using it could make you and/or the importer liable – for damage and for injury. Just because your new equipment has come with a CE label, doesn’t mean it’s compliant either. Your laser may carry a CE sticker but that doesn’t mean it’s been tested! To comply, the system and/or components must have been tested to EN standard which ensures that it meets the UK’s Machinery Directive. So when you buy your welding laser, make sure it comes with a CE Declaration of Conformance certificate backed by a copy of the Technical Construction File which supports its claims in meeting EN standards. You can then be sure you’ve paid for a compliant product that will work correctly and safely. Lasers are sophisticated pieces of machinery. So before you buy, it’s worth taking your welding laser system on a ‘test drive’. Like buying a new car, ask your dealer if you can have a demonstration of the laser at your site or in their showrooms. You’ll then be able to see for yourself whether the ergonomics are up to scratch and how user-friendly its menu, switches and controls are. 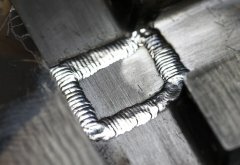 When you buy your laser, there may only be one particular material you want to weld. But circumstances change and you need to be prepared for them. So check out your options for flexibility. Can you add an axis control? Is the software upgradeable? Can you change the optics, for instance, increase the lens’s focus depth or automate the control. Before you buy, think about the future. 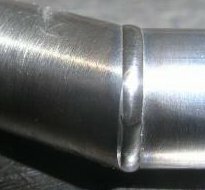 The more power your laser has, the more materials it can weld. However, the more power it has, the more expensive it is to run. Most lasers up to 100W will cope with steel but if you are dealing with a conductive material such as aluminium, you’ll need to be thinking in terms of 200W. To ensure your welding laser system operates efficiently and with optimum productivity, you need access to reliable technical support. Breakdowns can happen to all kinds of equipment, so if you want to keep downtime to a minimum, ensure your dealer has team of highly trained engineers no more than 2-3 hours away from you. Buying a laser welding system from a reputable dealer ensures peace of mind over a range of factors. Your system will come with a Declaration of Conformity ensuring it meets EN standards, you will be able to try out the equipment before you buy and all the technical advice you need with regard to expandability and performance will be there to hand as well as a complete support service.